Happy St. Patrick’s Day everyone!! I hope you’re all having a great weekend and didn’t forget to wear your green today!! 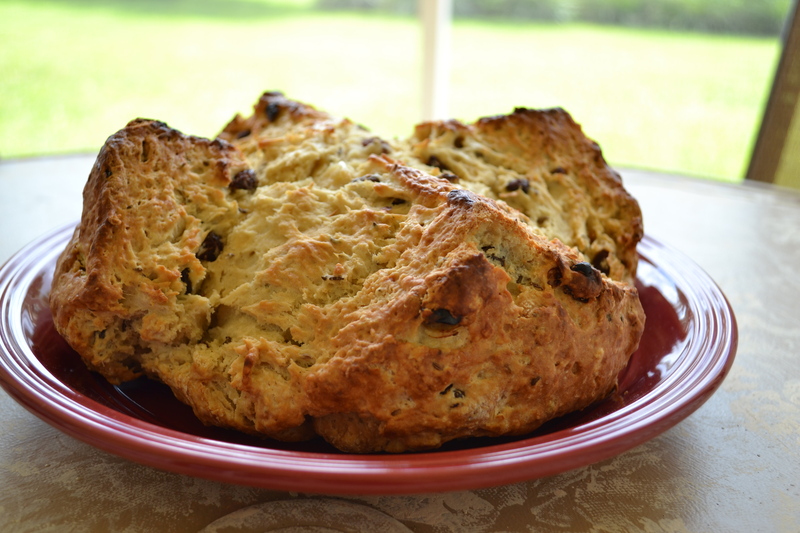 Earlier this week, I taught you how to wear green on your eyes and turn a beloved ice cream flavor into a cookie, but today I wanted to share a more traditional Irish dish with you–Irish Soda Bread. My good friend Jamie from Cooking In Red Socks is the perfect person to teach how you to make this staple from the Emerald Isle. She’s a culinary school grad and total foodie who creates the most delicious, healthy recipes for her blog. Many of her recipes have become favorites in our house, and I know this recipe will not disappoint. 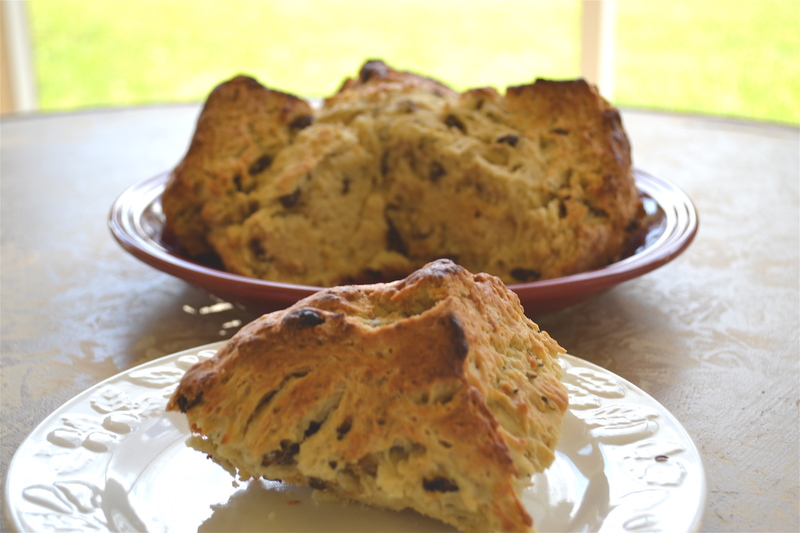 When I think about Irish Soda Bread, I’m instantly transported back in time to a trip that my family took to Ireland about 15 years ago. It was served everywhere, but one specific memory sticks out in my mind. We were on this little boat taking some tour around the Blasket Islands (I was young…my parents could probably provide more details about this), and it was totally freezing, but they had this amazing soda bread and butter to warm us up and fill our bellies. It totally hit the spot and clearly made an impression on me because it’s the only part of that particular adventure that I remember. Jamie posted this on her blog earlier this week, so you can hop over here to see the original post, although it’s all included here. You should go check her out anyway and try out some of her amazing recipes. Some of my favorites are her Maple Dijon Salmon (we literally make this once a week), Caprese Turkey Burgers, and Sriracha Shrimp Cocktail. We started our blogs around the same time last year, so we’ve had a fun journey together as blogger buddies. I wanted to feature her here on my blog because Cooking In Red Socks is just too good not to share with you! I hope you enjoy this Irish recipe on this fine St. Patty’s Day, so Jamie, take it way!